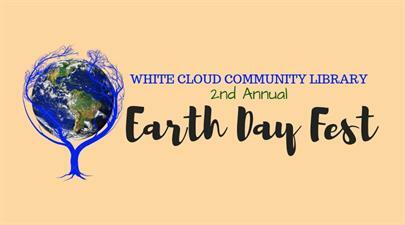 Stop by for some Earth Day knowledge at White Cloud Community Library where you can visit with our community organizations that help us everyday! 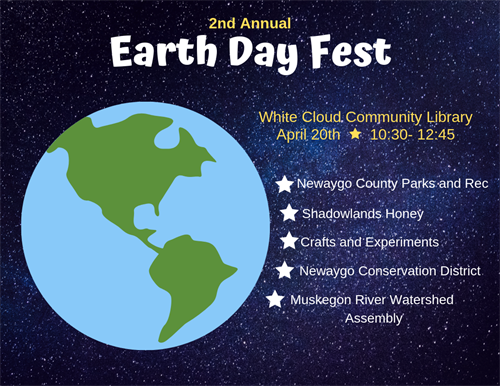 Newaygo County Parks and Rec will be there along with Shadowlands Honey, Newaygo County Conservation District, and the Muskegon River Watershed Assembly. We'll also have some hands on Earth Day experiments for the kids.